The Queen of Soul is to be seen into the hereafter by the self-professed king of basketball, as L.A. Lakers star LeBron James has been picked to sit in the front row at Aretha Franklin’s funeral. According to USA Today, the player has a front row pew at Detroit’s Greater Grace Temple for Franklin’s final service on August 31. 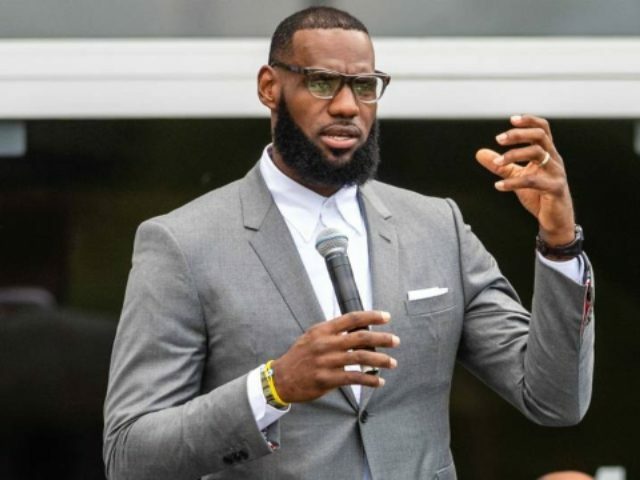 The famed basketball player will join such personalities as Detroit Pistons Isaiah Thomas, Bill Clinton, singer Smokey Robinson, Rev. Jesse Jackson, and actress Cicely Tyson. Thomas will be a featured speaker at the event that is scheduled to last quite some time as a parade of famous faces rise to say a few words about Franklin, the celebrated Queen of Soul. Thomas first became friends with Franklin, a life-long Detroit resident, after he joined the Pistons in the 1980s. Thomas became a fan favorite after helping the Pistons take the NBA championships in 1989 and 1990. Others who will perform at the ceremony include: Yolanda Adams, Pastor Shirley Caesar, The Clark Sisters, Jennifer Holliday, Tasha Cobbs-Leonard, Bishop Marvin Sapp, The Williams Brothers, Vanessa Bell Armstrong, classical artist Audrey DuBois Harris, soprano Alice McAllister Tillman, Franklin’s son Edward Franklin, the Aretha Franklin Orchestra and the Aretha Franklin Celebration Choir. Franklin died on August 16 at the age of 76 after a battle with pancreatic cancer.